Ubuntu Kylin the first time to provide operating system training services to Asia, Africa and other countries ! Ubuntu Kylin News on April 17, 2014 : Ubuntu Kylin team has recently been providing technical training services to Asia, Africa and other countries. 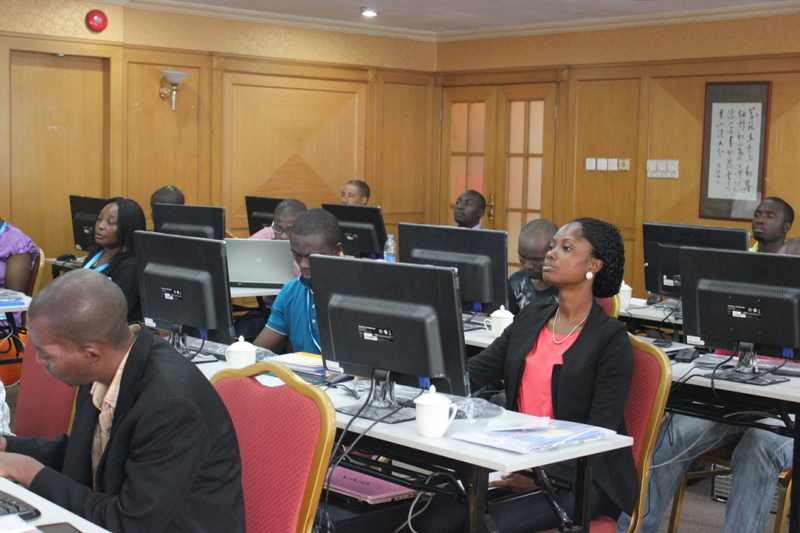 It is reported that a total of 25 technical personnel from Zanzibar , Ghana , Zambia and other 13 countries to participate in this training. The training course lasts 21 days , including the basic principles of operating systems , application software development and gifted unicorn operating system and practices. Rich and diverse content and form of training , both professional teachers taught in English , but also teachers and students to participate in curriculum design , hands-on experience and practical operation , made ? ?a very good training effect . Participants from Uganda, Lee said, " to participate in the training , not only for me to learn how to use and operate Ubuntu Kylin operating system , let me and my classmates feel the Chinese teacher's enthusiasm and professionalism ! " And subsequent to the successful completion of the training mission , Ubuntu Kylin team tailored a gifted unicorn English, French and Russian version and other versions of the operating system to meet the training needs more national languages , effectively increasing influence in Africa and Latin America. Previous： Ubuntu Kylin attend domestic operating system Trial Seminar organized by LUPA Next：Ubuntu Kylin 14.04 LTS Released!